Companies with a global presence often have many and varied products to fit the conditions in local markets. 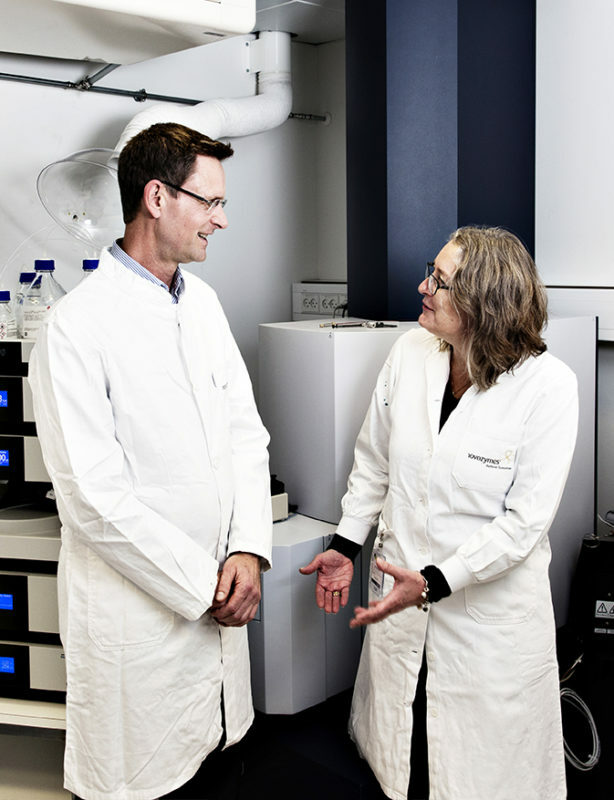 Industrial biotech giant Novozymes A/S experiences this first hand as the company’s use of enzymes for laundry detergent differs from continent to continet. Plougmann Vingtoft handles the company’s trademark portfolios, where the diversity of the products really stands out. When most of us think of laundry detergent, we think of powder you put in a washing machine. Novozymes A/S is the leading provider of enzymes for use in laundry detergent but the diversity of detergents, and hence the necessary enzymes, go beyond washing machines. Most of Novozymes’s detergent enzymes are optimized for use in washing machines. However, as more than 1 billion people worldwide do their laundry by hand, different types of enzymes and detergents are needed. Novozymes has created Easyzyme®, the first enzyme solution for soap bars, which is the most widespread method of doing laundry in developing countries. The use of soap bars for washing clothes is conventionally a slow process that requires much water and effort. Adding enzymes to the soap bars means that less effort is required as stains come out more easily and the need for rewashing is reduced. Easyzyme® is just one of Novozymes’ more than 700 products for numerous industries that allow companies to achieve a more efficient use of raw materials, reduce energy consumption, replace traditional chemicals with more sustainable alternatives and offer higher-quality products. The global activity of Novozymes entails a large and diverse trademark portfolio, including some highly specialized product categories within agriculture and biopharma. The company has more than 6,000 trademark registrations in numerous countries. “Our trademark families are very complex and multifaceted and, therefore, it is vital that we have a trademark advisor who can handle our trademark portfolios professionally and efficiently,” says Claus Michael Andersen, Senior Manager at Novozymes A/S. “We experience that the trademark attorneys at Plougmann Vingtoft are excellent at communicating to the point and leaving out all unnecessary information,” Claus Michael Andersen continues. If you want to know more about our work with Novozymes A/S or our trademark team and services, feel free to contact our Head of Trademarks Ellen Breddam.